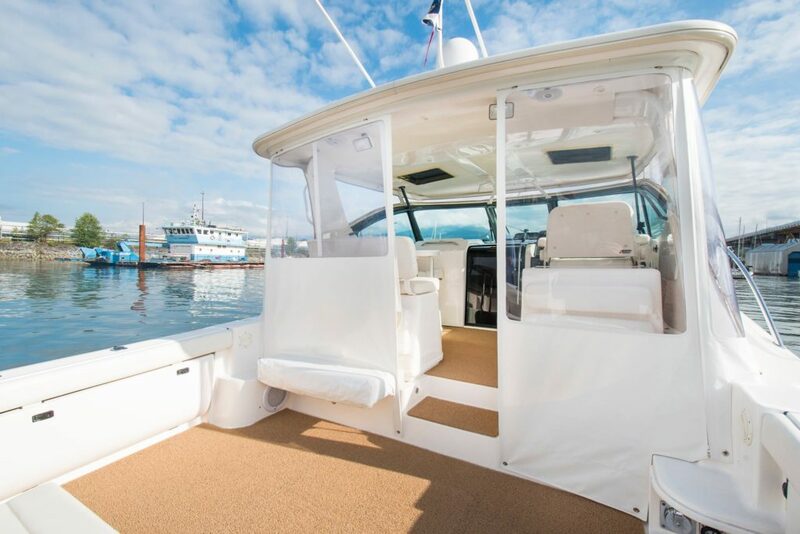 Ultra Weave engineered marine carpeting (EMC) was specifically designed for the marine industry and to offer boat lovers a deck covering that’s durable, looks great and is easy to maintain. 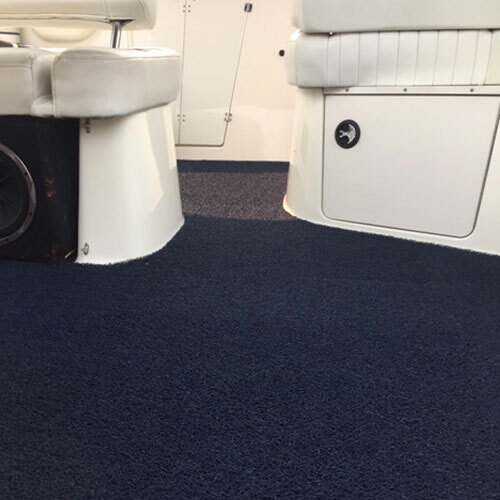 Marine Flooring requires no adhesives and very little maintenance. You simply hose it off and every couple months lift it up and hose off the decks. It’s that easy! 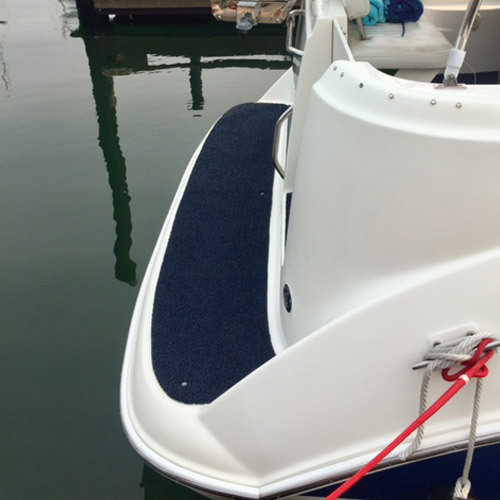 Roof top for crab traps – avoid scratching gel-coat & keep traps in place! Under sun deck cushions – keep water flowing through! 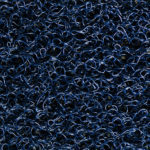 Is Ultra Weave the same application as carpet? 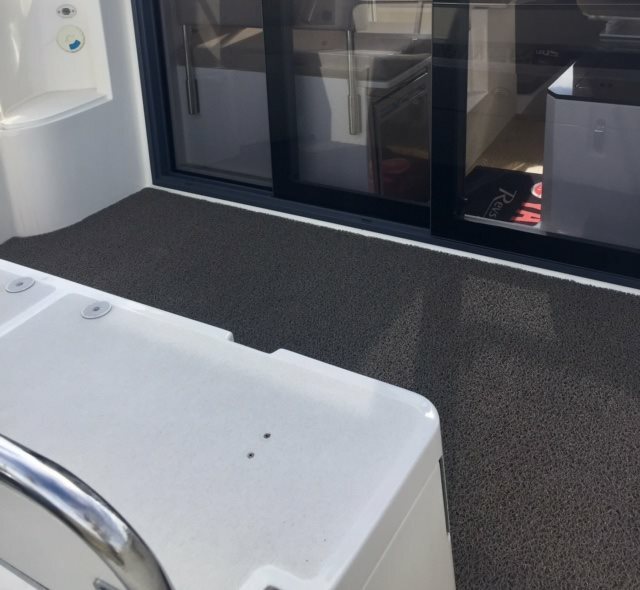 Our PVC flooring is a deck covering that just lays in place! NO Glue! NO Snaps! Once the piece is cut to fit the non-slip backing grips the deck. Are the darker colours hot on the bare feet in the summer sun? 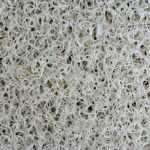 The large pores throughout the surface allows air and water to flow right through it while keeping the surface cooler and dry. We recommend the lighter colours if you have very young children with sensitive feet. What about covering overs a hatches? 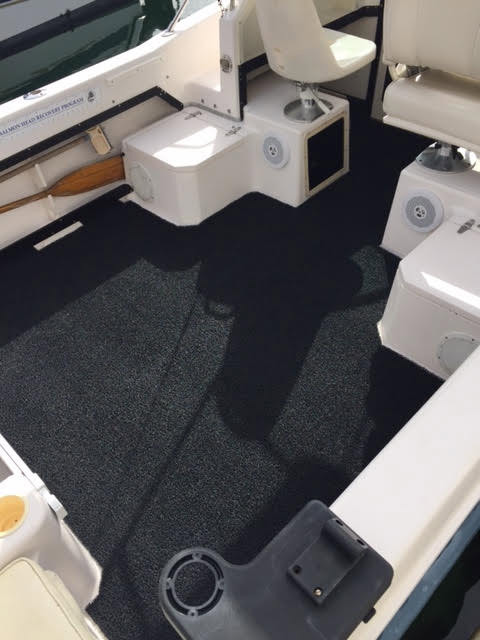 A custom 3 piece cut allows the flooring to lift up with the hatch. 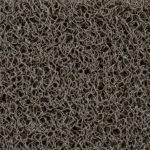 How do you maintain Ultra Weave? Won't the large pores surface catch the debris? 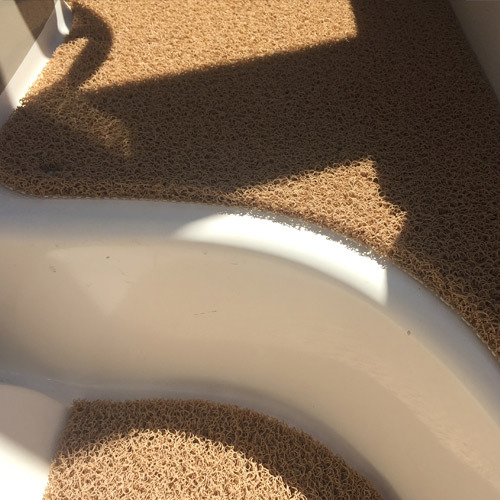 You would think so by the deck’s appearance, ultra weave is designed to flush debris. 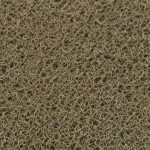 It has large pores throughout the surface for this reason. 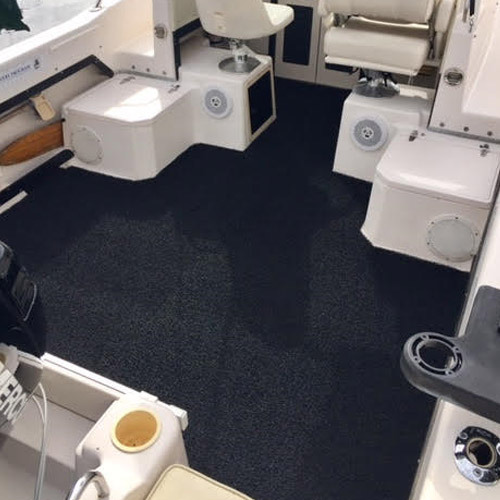 Bay Resource Group Inc warranties all of their first quality material to the original purchaser against “wear out” for a period indicated above, providing the material was installed and maintained properly, and used. As intended and recommended under normal recreational use, “wear-out” is defined as a complete removal of pattern and/or colour from normal traffic and maintenance. Claims made for colour change or fading are valid for one year and excludes any stains caused by organic or synthetic materials. In the event “wear-out” occurs within the warranty, Bay Resource Group Inc. will repair or supply replacement materials. This warranty gives specific legal rights; you may also have other rights, which may vary from state to state and province to province. 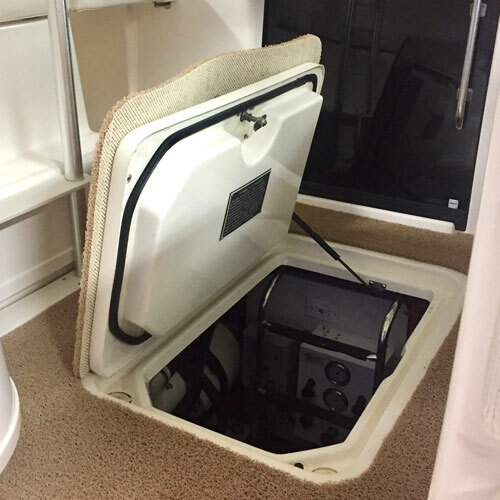 Bay Resource Group Inc. reserves the right to have a Representative inspect the product before any claim under this warranty is acknowledged. Warranty claims must be made within 90 days of detection and be accompanied with the original proof of purchase. 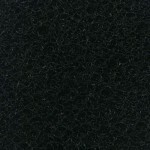 If you would like to provide us with measurements for an estimate, our product comes in rolls that are 4ft wide. 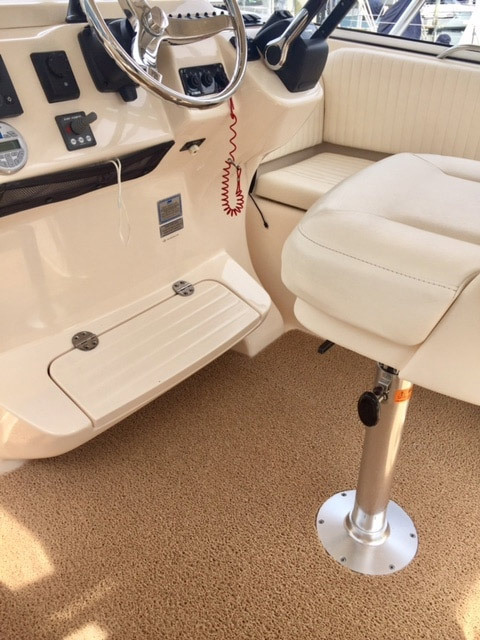 If your surface is wider than 4 feet it will need to be seamed. 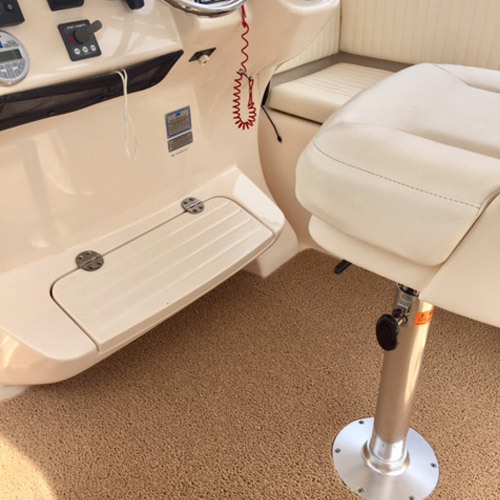 Measure your width and depth of each section of the boat. 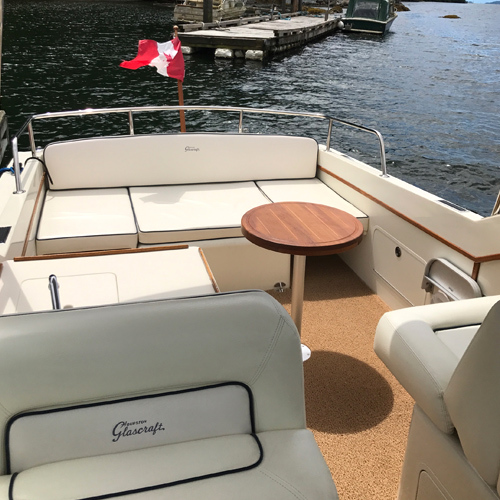 If your deck is 6’ by 4’ – you will require a six foot length of material or 24 sq ft (6×4) if your deck is 5’ by 5’ – you will require two 5’ lengths and a seam. View more live photos on our Facebook page. 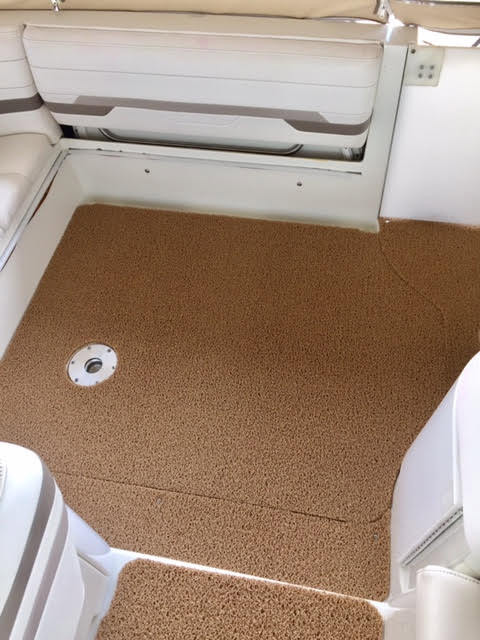 Great upgrade to the original carpet. 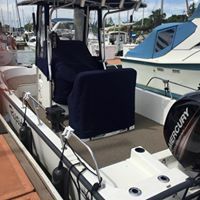 It makes my boat feel more luxurious and people absolutely notice it. We spilled some adult beverages and the flooring never got wet, stained, or sticky. Food crumbs for the most part go through the floor, and the bigger pieces you pick out by hand, but really not that much. Sometimes there is a piece that gets lodged in there and you can't get out by hand, but by the end of the day it has usually worked itself through and is gone. I'm sold on the flooring. 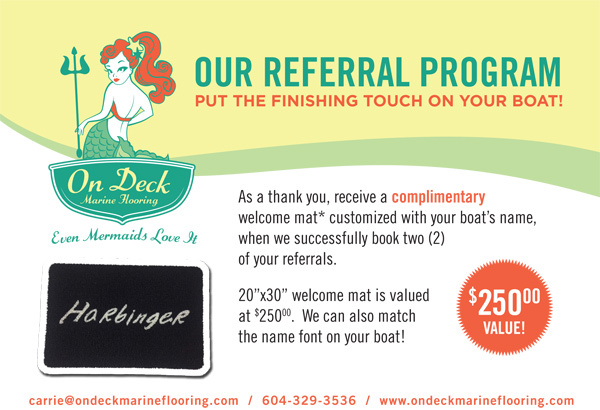 You don't need to deal with mildew on the deck 1st thing in the morning, no fading, no staining, plush on your feet, looks great. Way better than carpet! 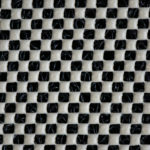 I love the Ultra Weave flooring. It's a great product. It's easy to remove and clean. Everyone that gets in my boat raves about it. We are on our second season with it and like it a lot. 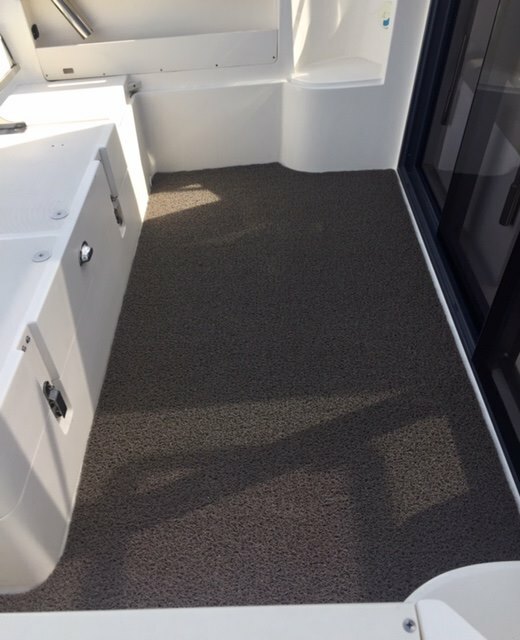 We had the snap in carpet prior to Ultra Weave and much prefer this flooring. It really is an awesome product I would recommend it to anyone. Personally I like the fact that you don't have something permanently stuck to the floor and there are no snaps on the floor.